A number of businesses will not be moving from the Pop-Up to Kambri due to rent and fit-out costs. 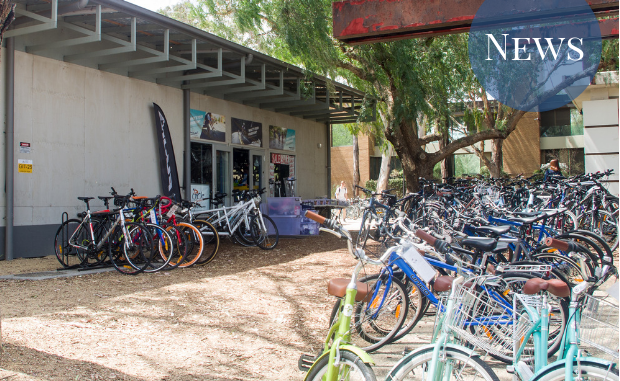 Cycle Canberra has announced it will be closing its doors after more then 30 years on campus. Cycle Canberra today announced a closing down sale on its Facebook page, saying it had been “unable to agree to terms with the University” for a move to Kambri. Owner Rohan Reynolds told Observer that he was going to be charged $60 000 per annum in rent, which is almost double the cost of the Pop-Up location. The University also mandated seven-day-a-week trading, which Reynolds said store could not afford. Despite ANU offering to subsidise a portion of the new fit out, Reynolds stated that “economically it still was not financially sustainable for us to move forward”. Another vendor told Observer that they would not be moving to Kambri for similar reasons. The increased rent was reportedly not negotiable, and included increases of 4% per annum. The vendor stated that the fit-outs included recycled wood, which required specialist builders. The University also mandated staying open late and during quiet holiday periods. This made moving to Kambri ultimately unfeasible for the vendor, with the owner telling Observer that ANU “didn’t seem to care” about smaller vendors. Cycle Canberra will not be reopening at another site. It has been on campus for over thirty years. Reynolds has run the store since 2010, and said he now plans to focus on his already established bike hire business in Canberra. The store has requested permission from the University to operate during O-Week, although the lease ends on 6 February. ANUSA Environment Officer Nick Blood said he is ”concerned” about the loss of the shop. “Having an on-campus bike service benefits students, staff and ANU organisations, by making sustainable transport options easier and by promoting them in a visible way,” he said. Other businesses that will not be moving to Kambri include UniCorner Cafe, La Empanada, Zambrero, and MOMOs Taste of Tibet. The precinct is scheduled to open on 7 February. The University did not give comment by the time of publishing.